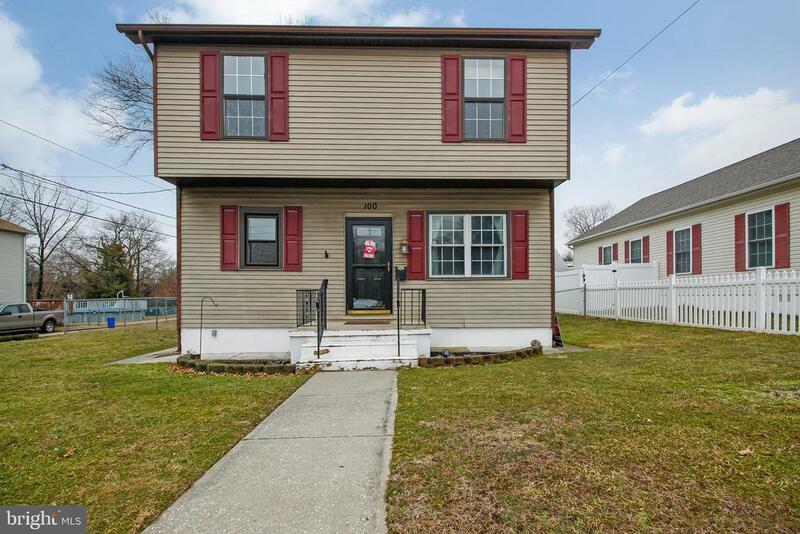 All Gloucester City homes currently listed for sale in Gloucester City as of 04/22/2019 are shown below. You can change the search criteria at any time by pressing the 'Change Search' button below. If you have any questions or you would like more information about any Gloucester City homes for sale or other Gloucester City real estate, please contact us and one of our knowledgeable Gloucester City REALTORS® would be pleased to assist you. "Introducing this beautiful split level home located in the sought after Cypress Gardens neighborhood! Pride of ownership is apparent here as the original owners have maintained and upgraded this beauty over the years. Features include: Over 20K in recent upgrades, neutral paint colors throughout, nice carpeting, a gorgeous upgraded and expanded kitchen boast solid wood cabinets, granite countertops, ceramic tile floors, the kitchen is nice and open and connects perfectly to the dining and living areas. Leading out from the kitchen is a nice all seasons room to enjoy any time of year! As you go up a few stairs you will find 3 nice bedrooms and a full bath with a new vanity. The lower level provides additional living space with an expanded family room, offering a white washed brick fireplace, a powder room, and laundry room and storage area. There are sliding glass doors here which lead you out back to a wonderful concrete patio and in ground swimming pool! This home is truly turnkey and move in condition! As you can see most of the major items on the home have been updated: New HVAC, New Hot Water Heater. 1 Year New Pool Equipment (Pump, Heater, Chlorinator, with a 2 year existing warranty). New Bay Window. New Garbage Disposal. New Sump Pump (under the house). Recent Bathroom Upgrades and a New Front Storm Door and New Back Door. Call today for a private tour of this rare find!" "Strikingly Unique Cape/Colonial Featuring an Inviting Atmosphere from the moment you Walk in. This Spacious and Traditional Home in Riverview Heights is Perfect for just Starting Out, or the Growing Family. There is a Huge Country Kitchen with Dining Area, Pantry, Loads of Maple Cabinetry, and Plenty of Counter Space. Your Master Bedroom on the first Floor comes with an Oversized Closet and Master Bath. This 3rd Generation Home offers most all Amenities todays buyer is looking for, and has an approximately 28 x 14 Great Room with Fireplace. The Lower Level has some finished area that was used as a Family/Game Room and also has a separate Bonus Room previously used as an Office. Additional Interior Features are a workshop area and Enclosed front Porch/Sunroom. If your buyer is a Hobbyist, Car Enthusiast, Enjoys Entertaining, or just wants an Oversized Garage and two story Workshop that is second to none, than they will love what this Home has to Offer. Exterior has an Extended Driveway to parking area and Garage, a Stamped Brick Patio, and the grounds are Beautifully Landscaped with Ornamental Shrubbery, Annuals and Perennials. 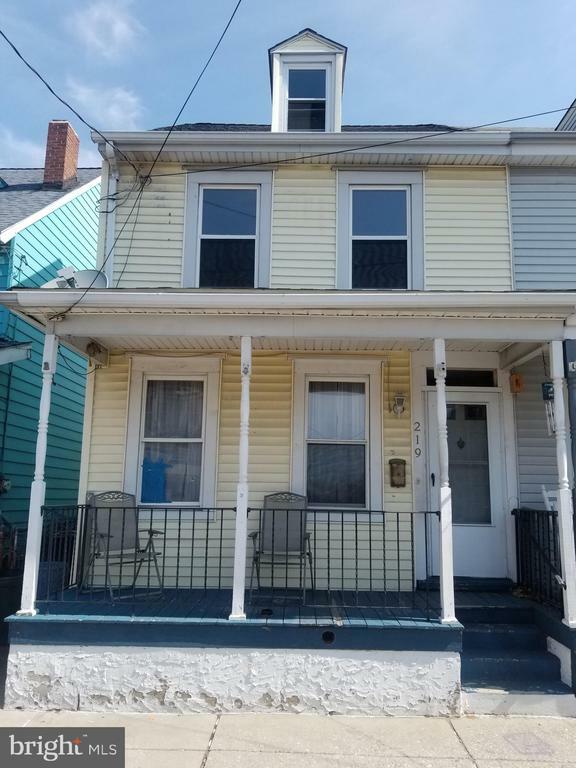 This Home is in good condition, but being sold in it's present As Is condition with the buyer responsible for any and all inspections, certifications and repairs including but not limited to the Gloucester City Certificate of Occupancy. Cash, Conventional Financing Only." 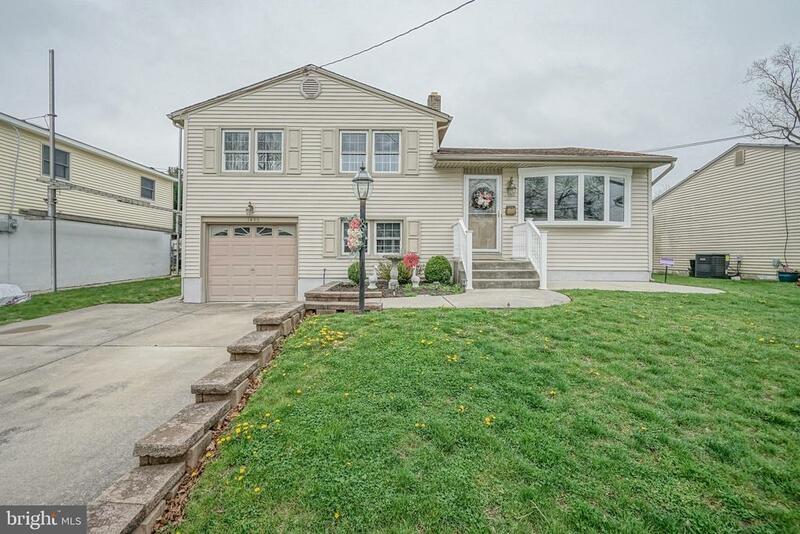 "The possibilities are endless in this hard to find lake front Gloucester City home with room for the family to grow into. The sprawling first floor offers a formal dining room, updated kitchen with breakfast area, 2 bedrooms and 1 bathroom and a beautiful rear great room that overlooks the breathtaking back yard and lake front area. The second floor offers two large sized bedrooms and a additional full bathroom. Your new home also offers a full basement, plenty of storage and a spectacular neighborhood that is within a short distance of the high school and just about every else. Don't hesitate because the lake front homes here don't last long. Being sold as is but a lot of your updating has been completed for you." "Welcome to 112 Weston Ave!! This home has been redone from top to bottom!! This home features an open floor plan on the main level. Upon entering you~re greeted with brand new wood flooring in the spacious living room. The rear of the home is the beautiful kitchen! The kitchen provides white cabinetry, title backsplash, granite counters, and stainless steel appliances. This kitchen is bright and airy offering plenty of workspace. Next up you will find three generous sized bedrooms. All of your bedrooms provide ceiling fans along with more wood flooring. Now let~s take a peek at the lower level. The spacious family room offers plenty of natural lighting and is an ideal space for entertaining. Completing this great property are two luxurious bathrooms. The huge tub is perfect after a long work day. Place this home at the top of your list!! Centrally located with easy access to all major roads and shopping destinations." 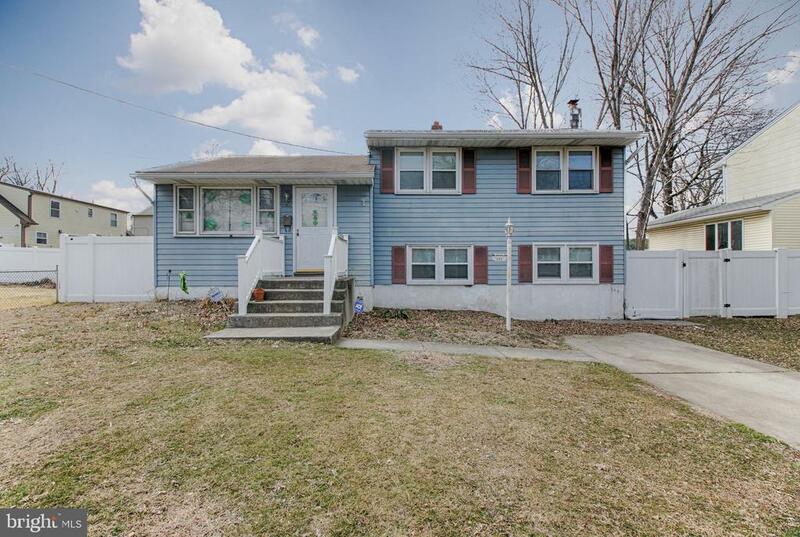 "Welcome to this well maintained home sitting on a spacious corner lot. Top features include newer roof and siding, three well sized bedrooms, and a large family room with a warm cozy fire place. See it today!" "Come see this Remodeled Home!!! New Kitchen, Hardwood floors, New Carpeting, Fire Place, Replacement Windows, Full Basement, New Hot water heater, Gas Hot air Heat, Fenced in Yard with Large Shed, Shared Driveway, This home is located across from the Ball Fields. Close to Phila. Call for you showing. THIS HOME CAN GET SPECIAL FIANCING & NO MORTGAGE INSURANCE. 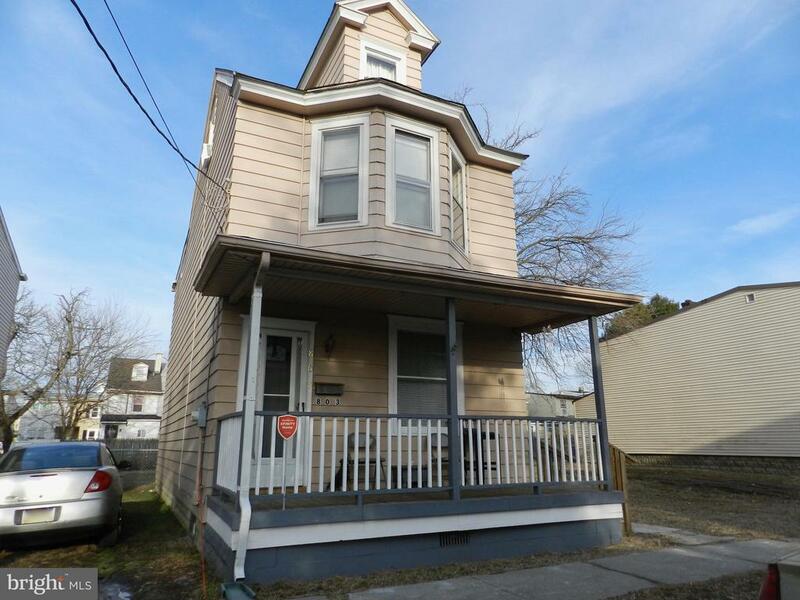 CALL NOW"
"*Newly Renovated* Huge house with a wrap around porch and a lot of charm! Being sold AS-IS. It features 4 bd, 1.5 ba, full basement with 2 extra rooms, new kitchen, new flooring, shed, fenced in yard, and your own driveway. This is a rare sale in Gloucester City so act fast." "Welcome home! Check as out this Highland park gem in move in condition. The home has great curb appeal and off street parking with driveway and one car detached garage. There is a large, fenced yard for outdoor enjoyment. The interior is neutral and inviting and ready for your furniture. The decor is modern with updated kitchen and bath.There is a large un-finished basement with brand new french drain system for great, dry storage space. Gloucester City schools offer all day pre-school starting at 3 years old. Convenient to major highways and public transportation, Make your appointment today." 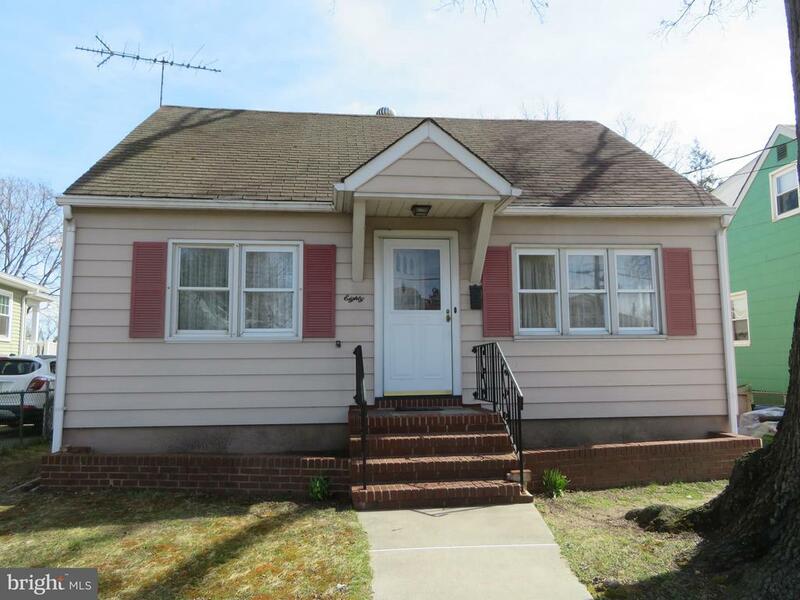 "Very cute well maintained 3 bedroom home in move condition. When you walk in the front door the cozy living room is to the right , and to the left is the stairway to the upstairs two good sized bedrooms. 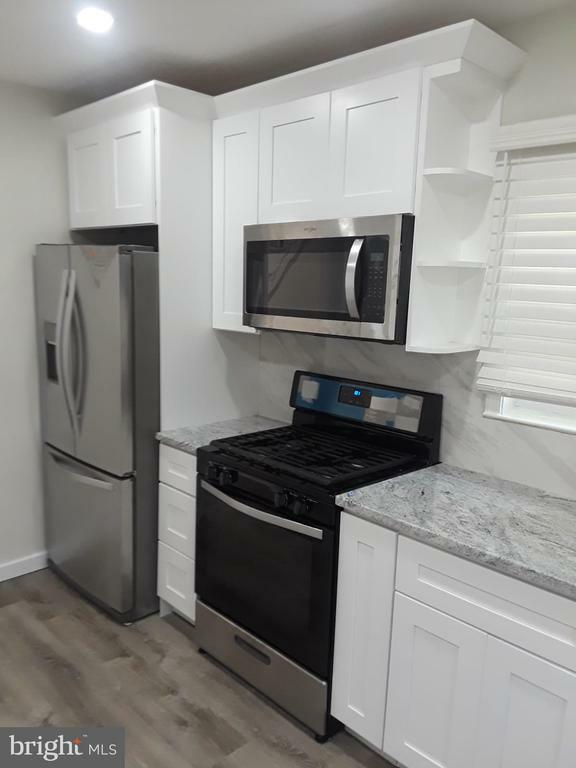 The spacious eat in kitchen has been updated and features granite countertops, beautiful cherry cabinets with a pantry ,and a newer appliance package. There is one full bath downstairs. There is a large bedroom downstairs that could also be used as a playroom or family room. The laundry room is the the dry basement that has plenty of storage space. Come check it out today." "It's here, the home you've been waiting for! A solid well cared for home! This lovely 3 bedroom features a NEWER roof with gutter gurads! Nice Tilt vinyl replacement windows. Heating and Central air was replaced in 2006. 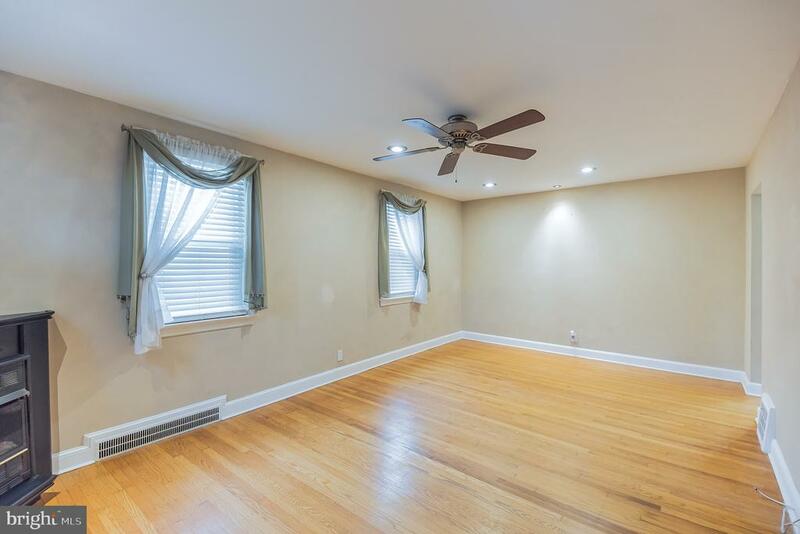 Enter into a large spacious bright living room (hardwood floors under carpet). The kitchen is a good size with NEW stainless steel CONVECTION oven! You'll find 2 bedrooms on the first floor and a large open 2nd floor bedroom! It also has a FULL BASEMENT. Come make this home your own!" "Nice 3 bedroom property with upgrades from kitchen to bathrooms, newer carpeting in bedrooms and upgraded bathrooms." "Come see this beautiful home for you and your family to call your own. Do not let the square footage deceive you, the attic is finished and currently being used as another bedroom and there is a full finish-able basement. You will also enjoy inviting family and friends over to relax in your huge yard equipped with a pool and horseshoe pits. Or you can show off the main floor and front porch which were remodeled within the last year. Schedule your time to visit today!!" 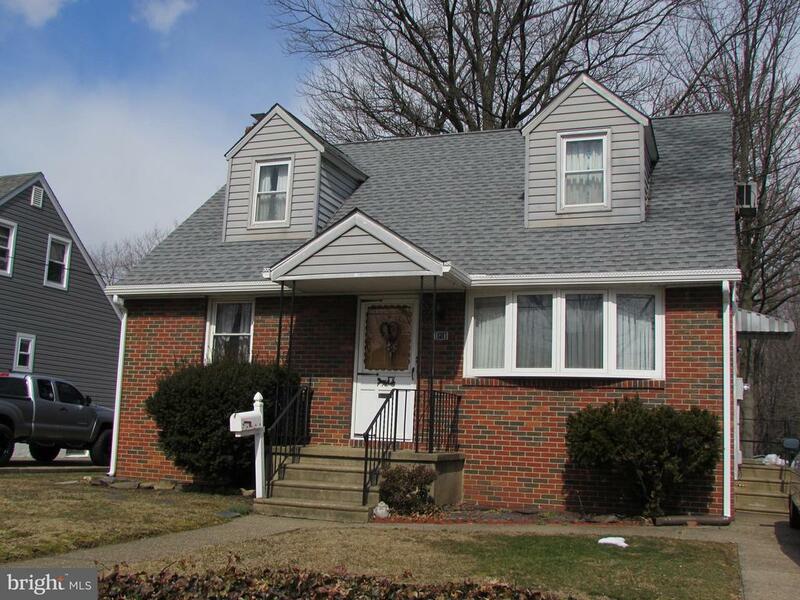 "Huge 4 large bedrooms, 2 full bath, great location, great schools, full eat in kitchen, fenced yard, central air, and what a great deal,"
"This massive home offers a great value in a great area. This home offers over 2000 square feet of space including a massive family room, formal living room, dining room, and large kitchen. This home is a great start to creating the home of your dreams at a great value." "Amazing Investment Opportunity or Move Right In! 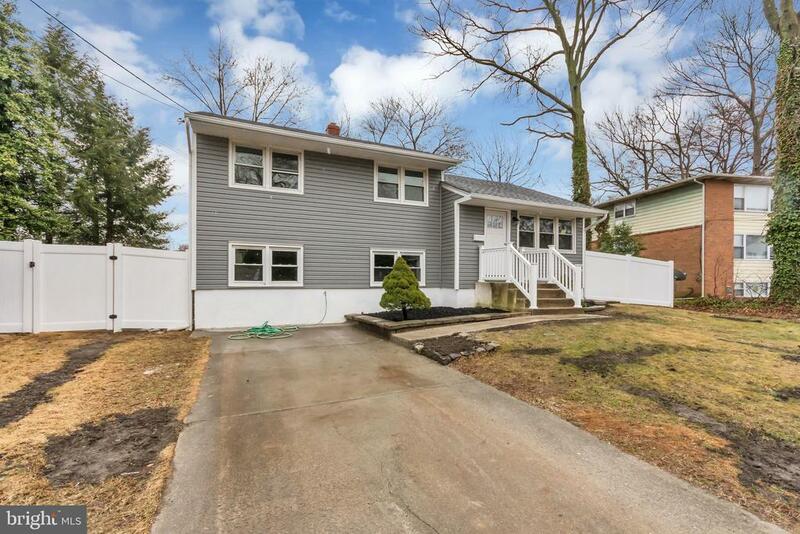 This charming single family home - with off street parking and double lot in Gloucester City - won~t be on the market long. Investors - tenants don~t want to leave. Willing to sign a year, or longer, lease. If you want this beauty all for yourself, tenants understand. Freshly painted in warm, rich colors you can feel the charm of this 100 year old home. The craftsmanship in the woodwork, the built in pantry, the updated kitchen are only the first floor. 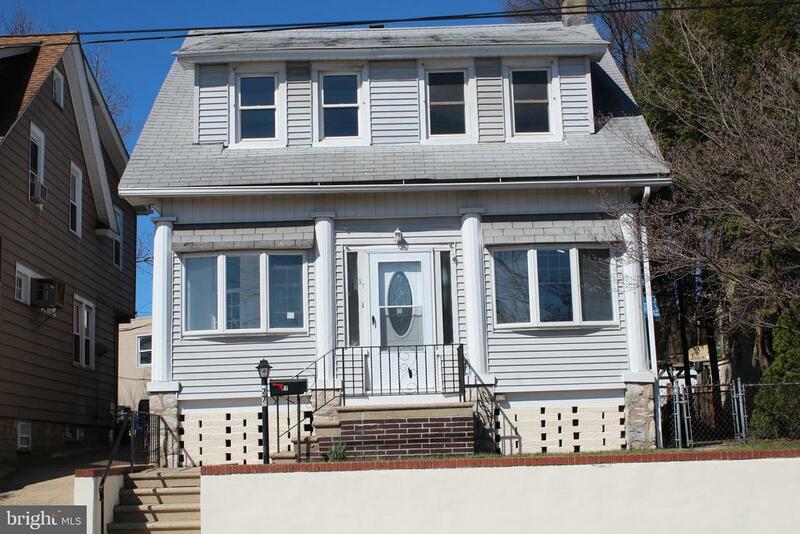 Head up the hardwood stairs to the lovely three bedrooms and bath. The walk up attic gives you additional space for a cozy reading nook or work space. Slow down and relax after a long day on the front porch - or fenced in back yard - and soak in all that this amazing community has to offer. Get away from it all but so close to Philly you can see the skyline. Check out this home today - it won~t last at this price." "Recently updated 2 story, 3 bedrooms, 1 and ~ bathrooms with a classic front porch and back yard. This home is within walking distance to the new and beautiful Middle School and Cold Springs Elementary School, the Library, the Marina, Proprietor~s Park, Johnson Park, Little League Majors Field, Johnson Blvd Recreation, restaurants, groceries and easy access to highways. New Kitchen featuring new appliances, cabinets and countertops with backsplashes. Hardwood and vinyl flooring. The laundry hookups are on the main floor. Room for expansion in the big basement. This home has lots of closets. Why rent when you can own for the same price!" "INVESTORS ONLY! Price is firm. Home is rented until March 30, 2020 for $1400/mo. It will make a great investment. This fully renovated end-unit townhouse has 3 bedrooms and 1 full bathroom. It features hard-wood flooring downstairs and tile in the kitchen, bathroom, and laundry room plus new carpet in the bedrooms. It also has a brand new high-efficiency air-conditioner, heater, and hot water heater to save money on utilities. The kitchen has all updated appliances and granite countertops. This home is in walking distance from bars, restaurants, and delis. You can be from your front door to across the Walt-Whitman bridge into Philadelphia in less than 10 minutes. Taxes for 2018 were only $2721 and homeowner's insurance just $568. No HOA and zero yard maintenance required. Contact me today!" "Fantastic opportunity to complete this gem and make it your dream home. 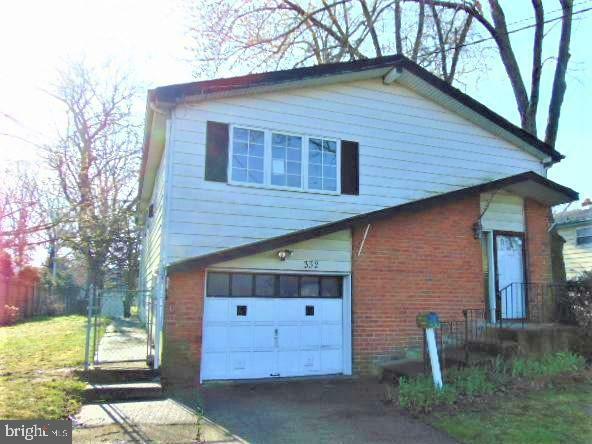 Large 3 bedroom home with tons of potential is waiting for you to complete. Florida room, detached garage and jacuzzi tub in main bathroom are just a few of extras. New HVAC will keep you comfortable for many years. Property is being sold strictly as is." 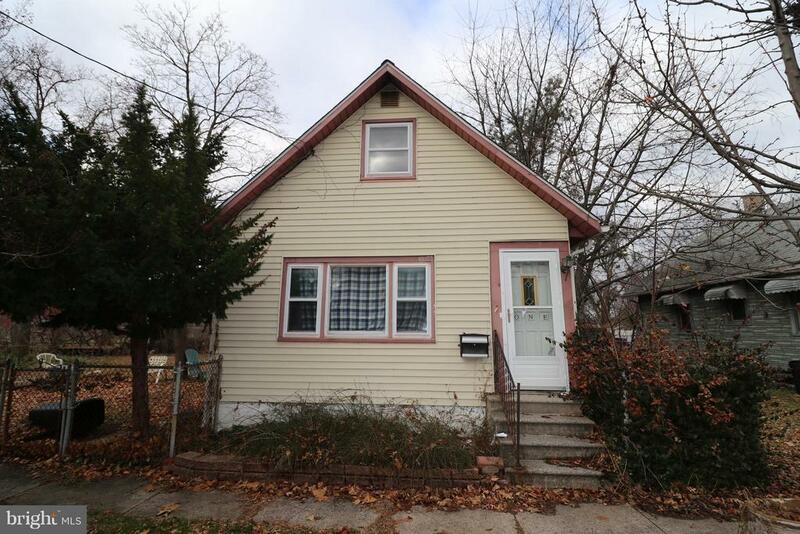 "This 3br/1ba split level home is available at a fantastic price! The main level of the home features a spacious living room with coat closet and eat-in kitchen with plenty of storage. Upstairs you will find 3 bedrooms and a large main bath with tub. The lower level of the home houses the family room and laundry/utility room. This property also boasts a spacious fully fenced rear yard with above ground pool. This home is a short sale and is being sold strictly as-is, but don't miss out because this property is priced to sell!" 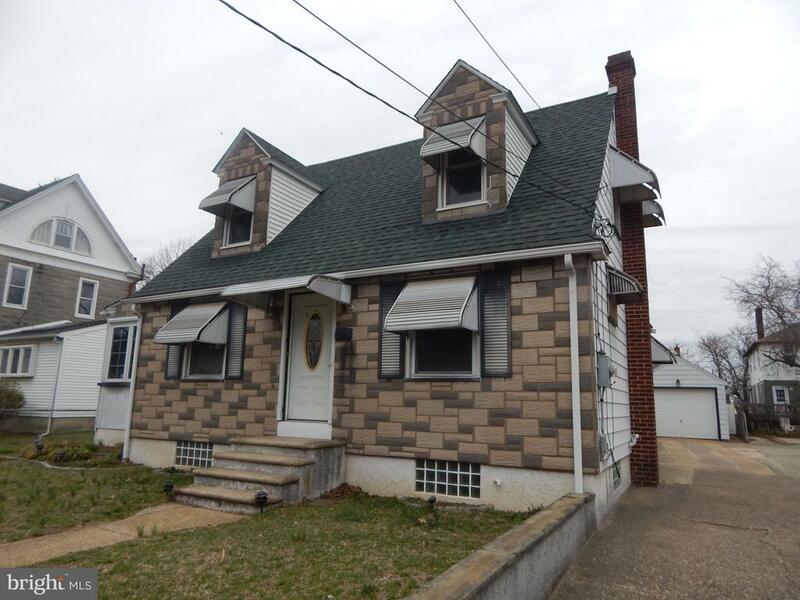 "Great opportunity to own property in Gloucester City. BRAND NEW ROOF being installed at the end of March. All new door handles being installed as well. This property is situated next to the Gloucester City Marina and Proprietors Park. Eat-In Kitchen with vinyl floors. Plenty of living space on the first floor with front and side door access. Half Bath is also on the first floor. Full Basement with updated electrical and boiler. Natural Gas Heat!!!!! Highly motivated seller." "This property is a solid home and beginning the short sale process. Showing will be permitted in the coming days." "3 Bedroom Cape on large lot with side yard and off street parking. First floor includes an enclosed porch, living room, dining area, kitchen, 2 bedrooms and a full bath. Upstairs you~ll find another 1-2 bedrooms. Home does need work. All offers must be made on Bank forms, not PAR forms." "Here is a opportunity to own your own home! 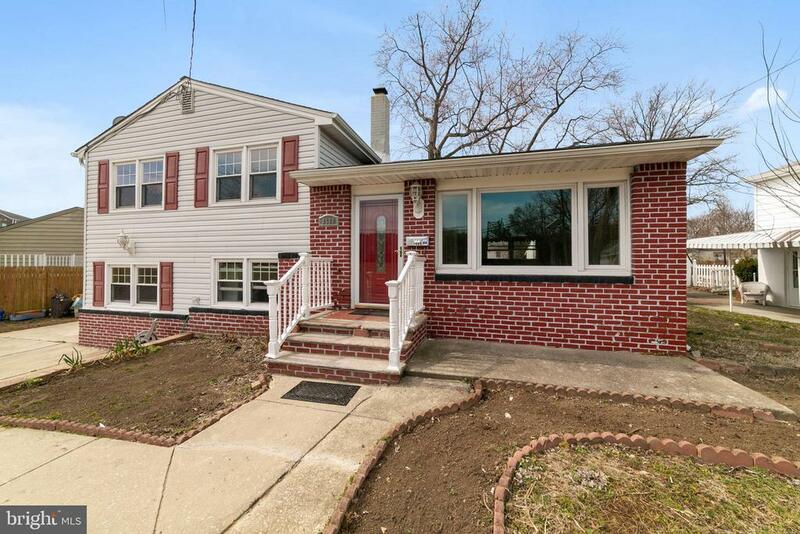 Totally remodeled 3 bedroom house with new carpeting and flooring. Close to schools, public transportation and major highways." "Perfect starter home for the 1st home buyer. 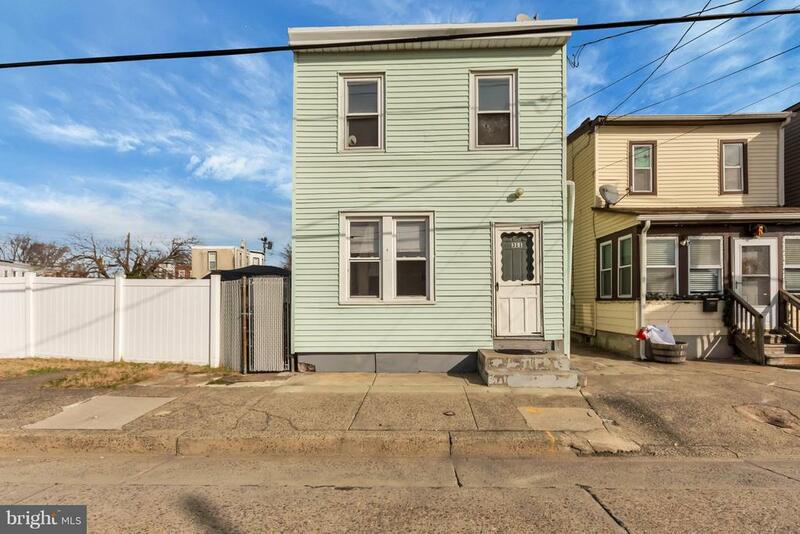 This 3 bedroom, 1.5 half bath home is ready to move into. It has beautiful hardwood floors throughout the main floor and in the upstairs bathroom. Three nice sized bedrooms, all wood floors, eat-in kitchen, half bathroom off the kitchen, small backyard to enjoy. 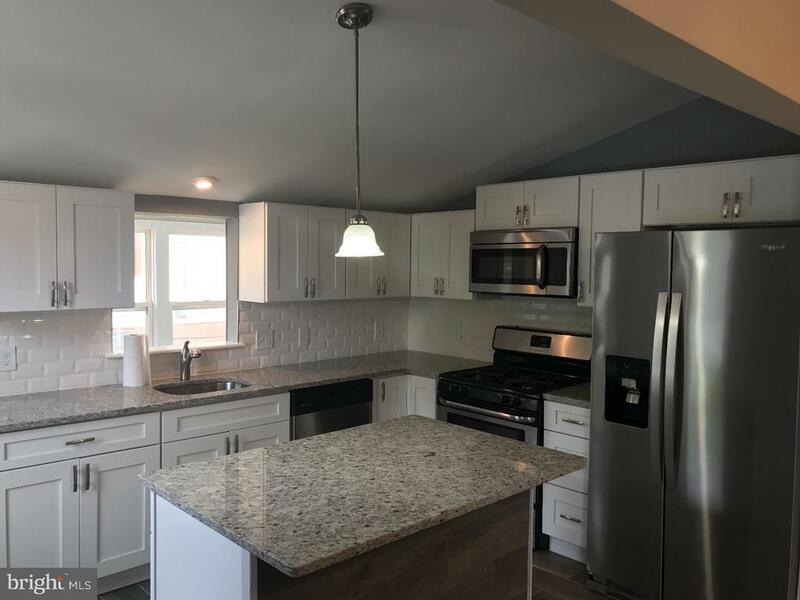 Full unfinished basement, plenty of storage, full-size washer and dryer in the basement, Brand New Hot Water Tank, some of the rooms have been freshly painted. 1yr home warranty included. 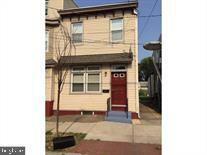 Close to downtown, public transportation, main highways 295, 130 and Ben Franklin and Walt Whitman Bridges. Reach out to me or the co-agent Maria Gonzalez."